LOS ANGELES, CALIF. — 07/02/2017 — Byoung Mi, 49, of Cypress, Calif., was arrested by the California Highway Patrol on suspicion of drunk driving after he fatally struck a motorist who decided that walking on a freeway at 2:10 am was a good idea. 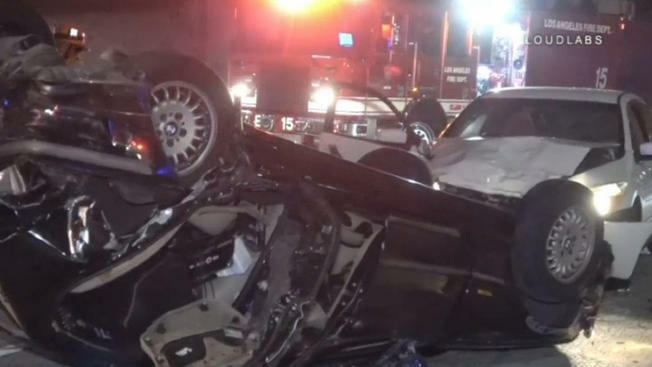 and rear-ended his car on the 110 Freeway Sunday near downtown Los Angeles, officials said. Police say that Reyes Lazaro had stopped his 1999 BMW in the number one lane of the 110 Freeway on Sunday morning near the downtown of Los Angeles. The fatal crash occurred on the northbound freeway at 23rd Street, the California Highway Patrol reported. When Lazaro took his stroll on the highway, police say that a 2003 Honda Accord was traveling at the legal speed limit when it smashed into Lazaro and his car, according to the CHP. Lazaro, a resident of Culver City, was pronounced dead at the scene. Byung Mi was arrested on suspicion of driving under the influence of alcohol causing injury. The CHP reported that Lazaro’s next of kin had been notified of his death at about 6 a.m. The CHP’s Central Los Angeles office asked anyone who saw the crash to call them at (213) 744-2331. This entry was posted in Arrest bookings, DWI arrest photos, DWI Arrests by State, DWI crash photos, DWI news articles, Hell-hole bars, injury or death and tagged 110 Freeway, 1999 BMW, Byung Mi arrested for DUI in fatal crash, California Highway Patrol, CHP, Driving Under the Influence, driving under the influence of alcohol, drunk driving, DUI, DWI, OWI, Reyes Lazaro. Bookmark the permalink.